It was said that at 1 year Lita could sing strains of her mother’s lullabies in perfect time and tune. 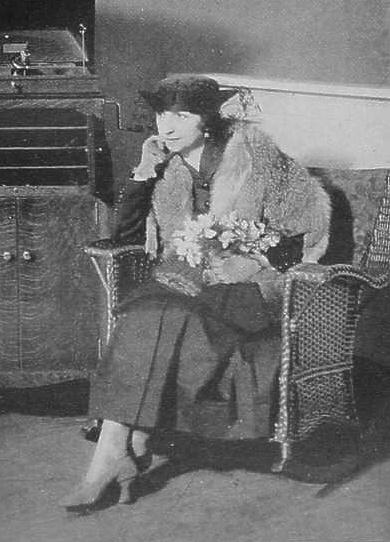 Amelita was born in Milan on 18 November 1882 to Enrico Galli, a successful Milan businessman, and Enrichetta Bellisoni, whose own parents had been an opera conductor and a soprano of some renown. She began studying piano with her mother at age 5, and at age 7 attended her first opera, Les Huguenots — though she later admitted to having been more taken with the ballet than with the singing, and on returning home that evening she tried to make her dolls dance! Amelita’s formal education was obtained at the International Institute (1895-1901) and the Liceo Alessandro Marzoni (1901-1905) where, besides demonstrating her musical abilities, she became fluent in five languages. Having made significant progress on the piano, Amelita seemed destined for a career as a pianist. In 1905, at the tender age of 23, she won the conservatory’s gold medal prize for piano and was offered a professorship. She accepted the position and planned to settle down to a life as a teacher and performer. Not long after, however, the composer Mascagni, an old family friend, changed her life forever. During a home opera recital of I Puritani, Mascagni listened to Amelita as she sang the soprano rôles and at the end told her that she would indeed be a great artist — but not a pianist. She would instead become a great singer. On his recommendation she promised Mascagni she would try. And indeed she did. Through years of intense study Amelita had learned to master the piano. But her singing was a gift from God, and in this art she was almost entirely self-taught. Her grandmother, an idol since youth who had agreed to help her train, died within a year of the young girl’s decision to devote her life to song. Soon afterward her father’s business began to suffer, and he along with his two sons moved to Argentina to attempt a comeback. (He would never see Amelita again.) Amelita and her mother remained in Italy, and for the next two years she trained herself in the art of singing. Finally, in the autumn of 1906 Amelita was invited to sing at a private musicale at which a noted conductor was present. On hearing her sing, he recommended her to an opera-manager friend who was looking for inexpensive talent. On the following day she received her first offer to sing Gilda in ten performances for the sum of 300 lira. On the night of her debut, her “Caro Nome” moved the audience to wild and enthusiastic approval. The unknown soprano had made her first mark on the world of opera — a mark that would remain indelible. Within two short years she would be chosen to sing Bettina in the premiere performance of Bizet's Don Procopio, and her career would no longer be in doubt. Indeed, wherever she toured even the skeptics were convinced they were in the presence of greatness. Her first South American tour, where she was given minor parts while lesser sopranos already contracted with the theaters held the spotlight, her voice outshone them all. Once when the scheduled Gilda became ill she was asked to sing the part instead. The audience, initially displeased, later reacted with nearly uncontrolled cheering, and she was obliged to sing “Caro Nome” three times. Back in Italy Amelita suffered what was perhaps the only real disappointment of her career. Ever a lady of grace, she had accepted even the lesser rôles in South America without complaint. But having asked the director of La Scala whether she could sing the lead in a revival of Sonnambula, she was offered a minor rôle instead. With her inimitable poise she replied, “Dear Mingardi, don't forget this — I shall never put my feet in this theater again.” And she never did! During the pre-war years her career blossomed, and she continued to add to her repertoire. She made a second tour of South America as well as singing in Madrid and in Russia only months before the outbreak of the Great War. In 1915 she was invited again to Spain where her career nearly came to an abrupt end. Falling ill to typhus while en route, she almost died from the fever. But tiny Amelita was stronger than anyone could imagine, and as she recovered she actually performed from a wheelchair onstage in Madrid. Later that year she began her third tour of South and Central America and Cuba. From Havana she travelled to New York with the intention of embarking on a return voyage to Italy. Her visit was little noticed by that city’s glitterati, but there she did meet the director of the Chicago Opera Company who convinced her to delay her return for two Rigoletto performances in Chicago. After hearing her during the rehearsal, he decided to extend her contract for the entire season. Her first appearance onstage on 18 November 1916 (her 34th birthday) was to an insouciant audience largely unfamiliar with the diminutive soprano from Milan. But her performance made opera history. So frenzied was the approbation that the presses were stopped to make way for the review. Amelita had conquered the New World by storm. As Gilda, 1916 Her immigration to the United States also resulted in a contract with Victor Records in New York City. A quickly arranged tour was conducted throughout the country after her Chicago success, and her phonograph records became immediate best sellers. “Caro Nome” sold 10,000 copies in its first Chicago release alone, an unprecedented number at the time. It is thanks to this contract that subsequent generations have been privileged to hear Amelita’s wonderful vocal technique. Two years later Amelita performed her favorite rôle in Dinorah at New York’s Lexington Theater. The famous “Shadow Song” demanded no less than 24 curtain calls, with a total of 60 ovations at the opera’s end. Critics noted that her stage grace as well as her vocal virtuosity contributed to her winning ways with the crowds. 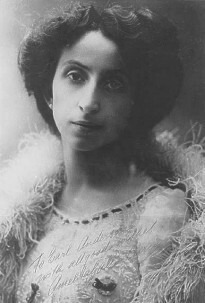 Amelita’s Metropolitan Opera debut was as Violetta on 14 November 1921. From then until 1924 she was a permanent member of both the Chicago Opera and the Metropolitan, but after that she remained permanently in New York until her retirement from the stage. 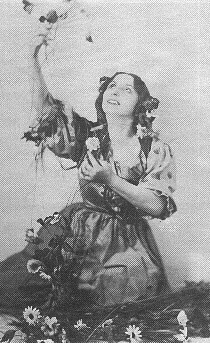 Her farewell performance was as Rosina on 24 January 1930. Although she continued to give recitals throughout the world, Amelita’s glorious voice began to suffer during the ensuing years due to a throat tumor (later diagnosed as a goiter). She finally consented to surgery in 1935. She attempted a comeback the following year at the Chicago Civic Opera, but though the critics were gentle there were no rave reviews. She gave a number or recitals during the 1936-37 season and received positive, if not enthusiastic, reviews on every occasion; but at 55, her voice was feeling the ravages of time and disease. She cancelled the following season, but accepted her retirement with the same grace with which she had previously accepted the accolades of the world, commenting that, “We don't play with the same toys all of our lives!” She spent the remainder of her days happily with her second husband, Homer Samuels, in La Jolla, California. There she died on 26 November 1963, eight days after her 81st birthday.